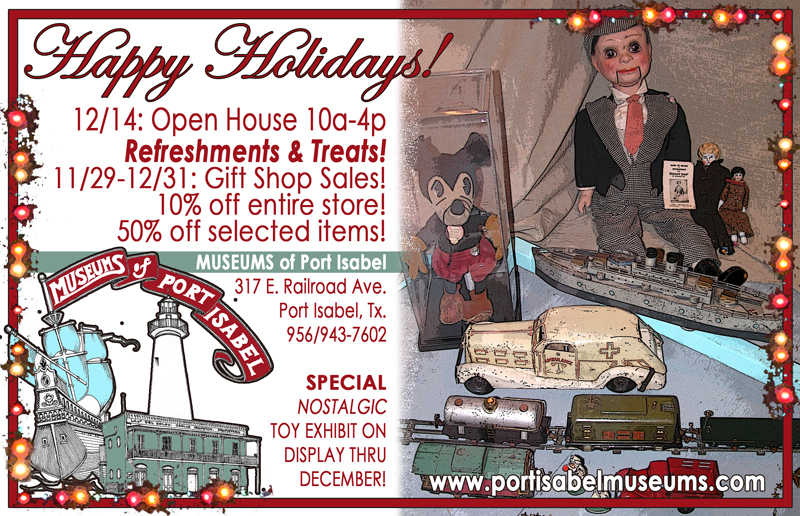 The Museums of Port Isabel invites you to their Annual Christmas Open House! Refreshments, free admission and 10% – 50% off at both the Treasures of the Gulf and Port Isabel Historical Museum Gift Shops. December 11, from 10 a.m. to 4 p.m. Call 956/943-7602 for more information.